SAPMER – French deep-sea fishing company based on the island of Reunion – has recently concluded Friend of the Sea renewal audit for its purse seine fleet. Yellowfin, skipjack and bigeye tuna from the fishing group vessels can continue to display the seal of approval. The vessels have a responsible fishing policy that minimizes the impact on immature fish and other associated species and thus contributes to reduction of discards. In addition, an efficient waste management system prevents waste dispersion. The company guarantees a specific traceability system to demonstrate the sustainable origin of all products. The captures are frozen directly on board at -40‎°C in order to preserve quality and taste. 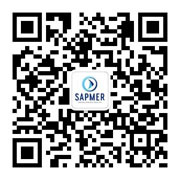 SAPMER has also recently started to undergo a FAD Free third-party audit program coordinated by Friend of the Sea, in order to meet some of its customers’ demand for tuna fished on free schools.